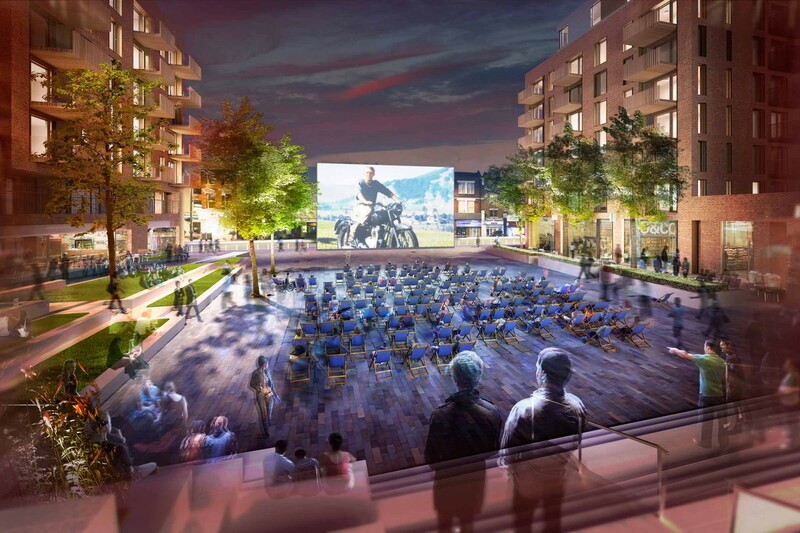 Winning the Design Competition, Scape were appointed to create a new public square in a major shopping area at the heart of Hammersmith in west London. 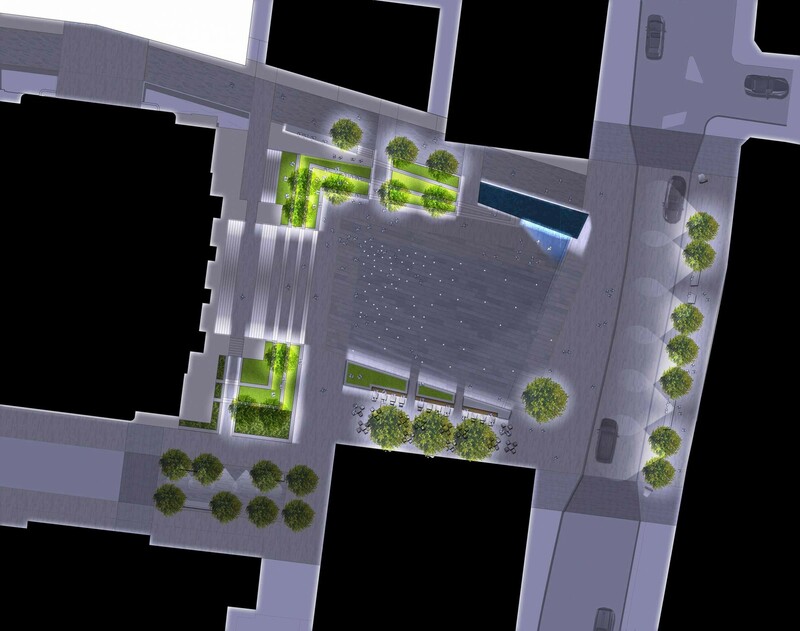 Selected by design panel comprising of local residents, the H&F Council, Design for London and architect John Thompson; the new space was conceived to help unite the local community, encouraging the square to be habitual. 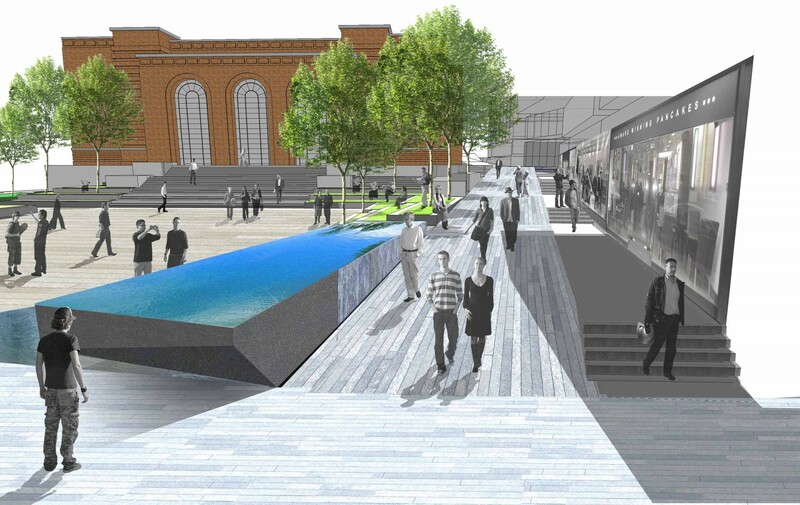 Creating a social ambiance the design elements include a flexible hard plaza, amphitheatre-style seating and a water feature designed to mask traffic noise. 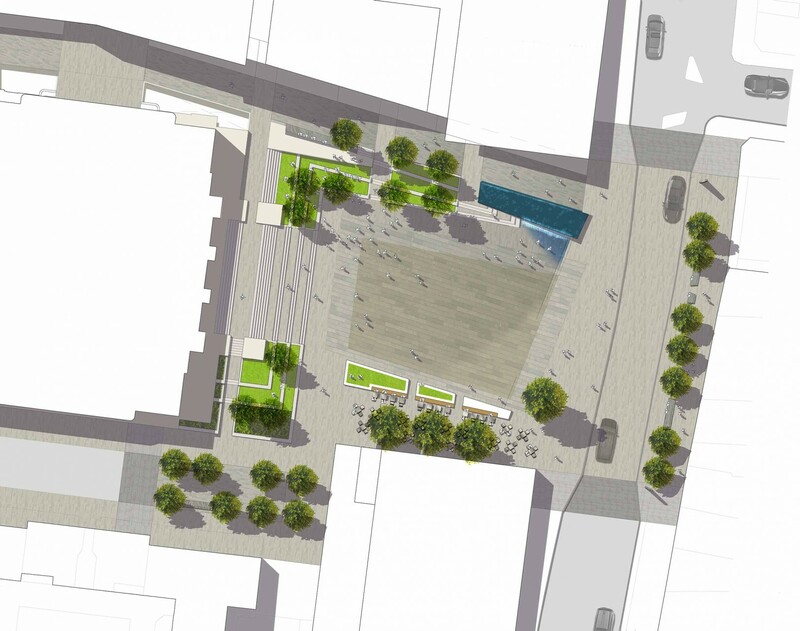 The new public square was proposed as part of wider strategic plans to regenerate King Street in west London. 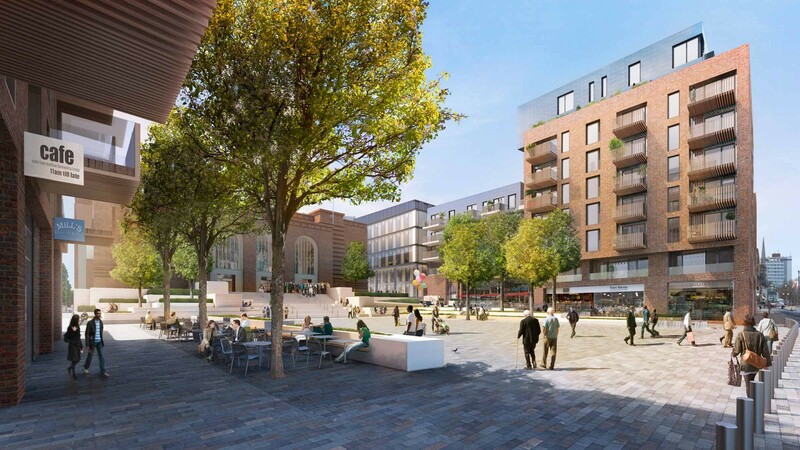 Flanked by two new buildings, it would replace a 1970’s town hall extension and open up the frontage of the Grade II listed Town Hall.